Our range of products include greenhouse exhaust fan, greenhouse fan, green house exhaust fan and greenhouse ventilation fan. 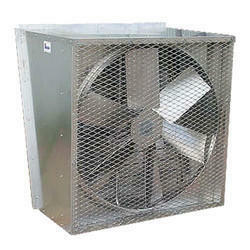 We are among the trusted names in the industry for manufacturing and exporting Greenhouse Exhaust Fan. The offered fan is made from high grade metal sourced from our reliable vendor base and is resistant to corrosion. It is effective in providing ventilation in green houses and expels stagnant air for maintaining ideal environment. This fan is resistant to abrasion and can be supplied in bulk quantities. We are among the reputed names in the industry for manufacturing and exporting Greenhouse Fan. The offered fan has earned us huge profits and a large client base. It is remarkable in terms of performance and made in compliance with the latest market trends. This fan provides ventilation in green houses and is made available in various technical specifications for meeting the variegated requirements of the customers. We have set a benchmark in the industry for manufacturing and supplying Green House Exhaust Fan, which is used for providing ventilation and elimination of stale air from green houses. The offered fan is exceptional in terms of energy efficiency and is meant for long-term functionality. It is made in adherence to the latest technological trends. Being resistant to wear and tear, it is widely demanded by our clients. 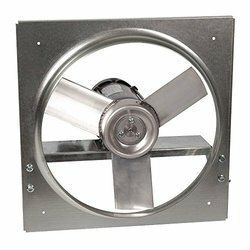 We are among the eminent names in the industry for manufacturing and exporting Greenhouse Ventilation Fan. 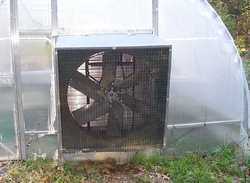 The offered fan is used for ventilating air in green houses. It is built from high grade raw materials and is checked for the assurance of quality in a well equipped laboratory by our professionals. 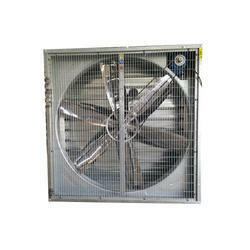 This fan is robust, highly durable and requires least maintenance. Looking for Green House Fan ?